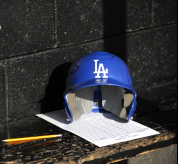 The East L.A. Dodgers are members of the Metro League in Stan Musial Baseball (AABC). Our collegiate wood bat team is built on pitching and defense. Our team strength is in the fact that our pitching and defense will give us an opportunity to win each game. Offensively, our primary focus is to have a high on base percentage in order to give us more chances to score. Our philosophy is to put the ball in play, cut down the strikeouts, advance runners, score early in the game, and put pressure on the defense. Because of the wood bat regulations, the power game is minimal. Therefore we like to put the runners in motion, take the extra base, bunt, etc. Offensive execution is a key to our success. For local conference and non-conference games, we will be suiting up about 15 players: 3 pitchers, 2 catchers, 5 infielders, 4 outfielders, and 1 designated hitter. 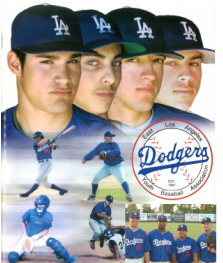 The East LA Dodgers are pleased to announce that Coach Louie Plasencia will return to coach our 2018 Connie Mack Team, which will play in Glendale AABC League in June and July. With Coach Louie's experience, expertise and professionalism, we expect our team to return to the post season this summer. Any high school player interested in playing highly competitive baseball, please contact us for more information. Only those players on a College Baseball Roster will be eligible to ply in our summer collegiate program. Because we are in very competitive leagues, it is imperative that our rosters are composed of active college players. Players who are not on a college roster may still sign up for our program, but will placed in a less competitive situation. Graduating high school seniors who play varsity baseball are also eligible to play in our program. 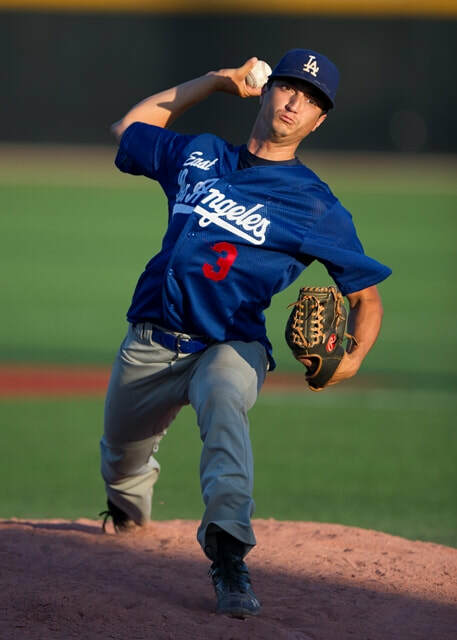 The East L.A. Dodgers will be participating in the Glendale Connie Mack League (ages 17-19) in the summer, during the months of June and July. We will play (3) games per week minimum, one game during the week and doubleheaders on Saturdays or Sundays. Sometimes non-league games may be added to the schedule. We will also participate in a competitive tournament at the end of the Summer Season.